Click here to learn more about this game! 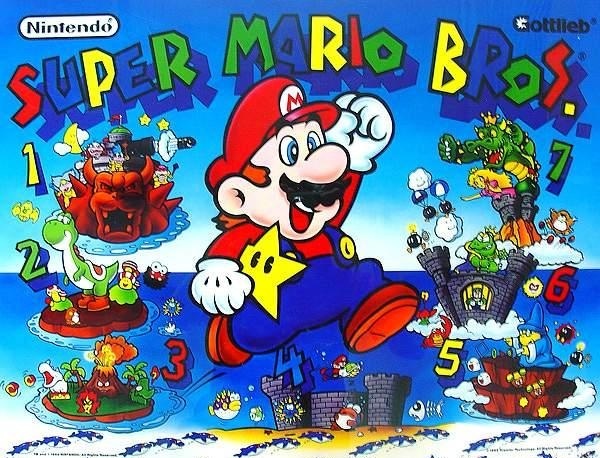 Designed by Jon Norris, with artwork by David Moore and Constantino Mitchell, this is the only time Nintendo licensed their properties to a pinball machine. Charles Martinet has been the official voice actor of Mario for decades. It was widely believed that the first game that Martinet appeared as Mario in was Mario's Game Gallery in 1995, but Martinet's voice work can also be found in this pinball machine! The Super Mario Bros.pinball machine predates Mario's Game Gallery by three years, making it the first "game" with Martinet as Mario! Challenge Tip: Use the loop to become “SUPER” and destroy a castle!